The Royal Architectural Institute of Canada (RAIC) will unveil a beautiful new design for the Governor General?s Medals in Architecture during the 2018 awards ceremony on Thursday in Winnipeg. ?We are very pleased to share the new medal for architecture named for the Governor General of Canada,? says RAIC President Michael Cox. ?The medal has been refreshed and redesigned. It reflects our history and the contemporary nature of architecture. 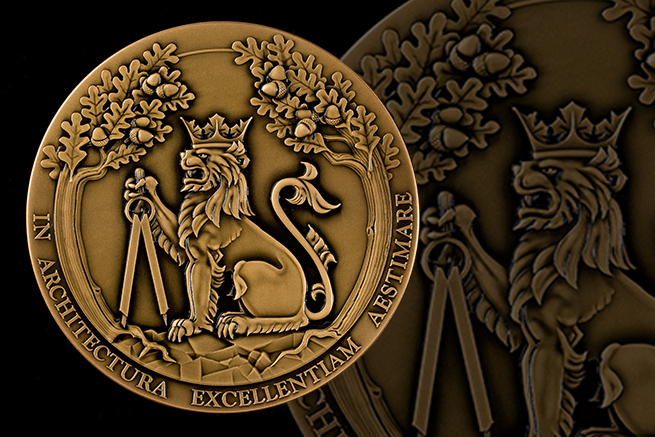 The medals are beautiful works of design and symbolic tokens which reflect the esteem in which we hold the recipients. We are delighted to inaugurate the medal at this year?s award ceremony.? CONCRETO 1:2:2. Tutoriales de Arquitectura.